This entry was posted in Blog, Campaign Announcement and tagged Activism 101, Cupcakes, Domestic Violence Awareness Month 2012, Paint It Purple 2012, The Pixel Project by regina. Bookmark the permalink. Hello, I’ve left a comment before but there was no reply so I thought I’d try it again. My name is Isabelle from Alpha Phi Gamma at San Diego State. I would love love love for us to get involved w the bake sale especially because a lot of my sorority sisters bake. Stop Domestic violence against women is also our national philanthropy. We would love the opportunity to be part of this event. Please contact me back when you can. Thanks! Hi. Sorry if you didn’t get a reply before. We run on volunteer power and it sometimes takes us a while to respond. This is the registration page for holding cupcake sales: http://paintitpurple.thepixelproject.net/about/get-on-board/the-paint-it-purple-bake-sale-raising-funds-with-cupcakes/If you still have questions after reading it, please let us know. 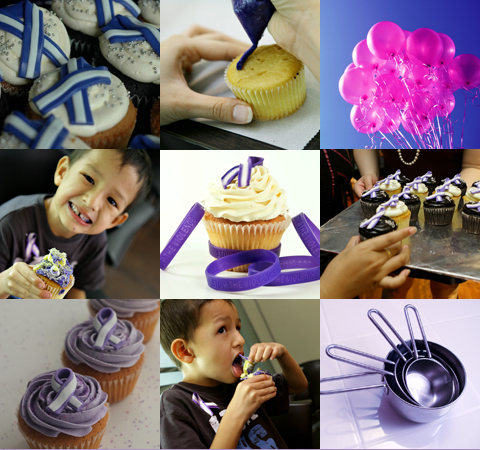 Thanks so much for your interest in Paint It Purple!